Вести.Ru: The Eternal Anglo: First Concentration Camps in Russia Were Created By Enterprising Brits! The Eternal Anglo: First Concentration Camps in Russia Were Created By Enterprising Brits! For example, why didn't they read out Russian soldiers' letters at the Paris ceremony? Yes, strictly speaking, Russia went out of that war before its end. But, among other things, even though few people are aware of this, that war was ended in Russia. After the truce was declared in Europe, the Entente's troops landed in the Russian North in particular. To be fair, it was our colleagues from BBC who first uncovered the story of the British, sadly as it is, task force organizing the first Russian concentration camp. Alexandr Lukyanov will tell about the participation of the Americans and present a Russian point of view. Unique chronicle footage. Arkhangelsk. August 1918. Cruiser Olympia. Descending the boards spanned to the ship are the soldiers of the 339th infantry regiment of the 85th US Army division. These are recruits drafted in Michigan and Detroit who'd undergone a 1-month military training at home. It is possible that marching in the middle of this parade formation is Herman Jobbe, private first class, and, at the time of peace, an owner of a small seeds store in Kentucky. - John, nice to meet you. THE HEAD OF THE MURMANSK COUNCIL: "Help the allied forces' missions and disrupt any activity of the predators". VASILY TSVETKOV, HISTORIAN: "They tried to arrange contact with the Council of People's Commissars. They tried to actually negotiate with Trotsky and Lenin. Moreover, when, in February 1918, the Germans started an offensive against Petrograd, we have the proven facts that French officers helped, in particular, blow up bridges ahead of the oncoming Germans". But Lenin signed the Treaty of Brest-Litovsk with the Kaiser Germany. The Entente's troops didn't leave, on the contrary, they increased their presence to protect the Eastern front, to force Russia to fight. Overall, 25,000 people landed in the North. ALEXANDR LUKYANOV: "Over 100 years, the trenches, naturally, have been covered in plants, but they're still visible. They were used by American soldiers of the so-called M-Squadron of the 339th regiment to advance". 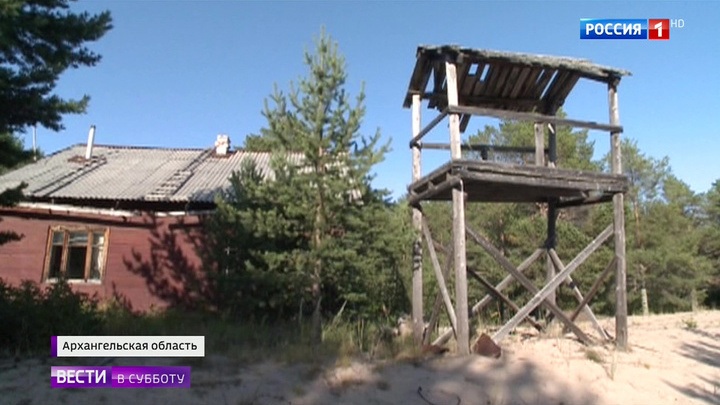 It's the only place in Russia with remains of fortification constructions from the Civil War, so-called blockhouses sheltering fighters during constant bombings. The metal detector beeps all the time. ALEXANDR LUKYANOV: "It's a part of a big shell, 152mm. It's a big shell, half a meter long". JOHN JOPPE: "My father was here, he first participated in a battle here. I'm trying to understand what he felt back then". France, Britain, or the US didn't officially proclaim war to Russia. The presence of the foreign contingent on the Russian territory was justified by tactical tasks: protection of ports and communications. Meanwhile, their strategic goal was to impose a puppet government, as Vasily Tsvetkov believes. Vasily Tsvetkov: "Mostly, they expected that the political force, which was to, hopefully for them, eventually end up being the only legitimate government in Russia, naturally, would grossly depend on those countries, the Entente. Of course, it shouldn't, under any circumstances, be Germany or Austria-Hungary that had collapsed by then, but America, France, and England". The most powerful mass destruction weapon of that time was used there: planes, tanks, long-range artillery, armored trains, gas-shells. In these grounds, there are still blind shells from that war with dry gunpowder inside. "The powder is one hundred years old, but you can still use it in a cannon". But the Bolsheviks' main weapon was a word. MICHAEL GROBBEL, THE VETERANS MEMORY ASSOCIATION: "Bolsheviks left leaflets on the trails and shouted in English, "Americans, why are you here? The war is over". November 11, 1918, the WWI ended with the signing of the treaty among all the warring sides. In Russia, however, the cannons still fired. VLADISLAV GOLDIN, HISTORIAN: "December 23, 1917, in Paris, a secret treaty was signed between France and the UK on the division of the spheres of influence in Russia. Formally, they divided the South then, the Southern zone. But soon, they informally agreed that the North was the British zone of influence". Historians believe that the military campaign failed particularly because the invaders behaved like barbarians. In Russia, they used their experience of the colonial wars. Mere suspicion of the help to the Bolsheviks and guerrilla fighters was enough to send a person to the concentration camp built by the English on the Mudjug island. Hundreds of people died here every day. As the barracks were not heated and the inmates were hardly fed. At the same time, they overtly marauded the former Russian Empire. From the North alone the occupants brought out goods for 150 million rubles in gold. VLADISLAV GOLDIN, HISTORIAN: "The military aid, the provision and so on, was provided as a lease to Russia, and, second, they tried to export everything they could from the North. Mostly timber and furs. The local people's attitude changes, initially the educated people and the middle class had some expectations. But then requisitions started, the rich people's houses were occupied". Even those who had supported them turned their back on them. There are rebellions in the White Troops, locals become guerrilla fighters. Thanks to the Universal Military Training system, the Soviet government filled the Red Army troops that went on the offensive. In the fall of 1919, the invaders started an urgent evacuation of their troops. Along with a rifle, Michael's grandfather brought to America a flag under which his squadron attacked Russian towns and villages. On the flag of the ever-existing 339th US Army regiment there embroidered a motto in Old Russian, "The Bayonet Decides". It's the rule of the absolute dominance of weaponry that in this story, however, has proved to be powerless in the face of those who defended their country from the invaders. - If you don't like it in America, come to live with us.